It’s been frigid here lately. In fact, it’s been so frigid that even us Minnesotans aren’t leaving the house unless we can help it. only Rosie the lover was down for that. Kit and Ella had another agenda in mind, which was to keep mama as busy as possible all morning. I can’t be overly disappointed though because the fact remains that the busier the morning, the deeper the afternoon sleep (or the quieter the afternoon play for Kit). Rosie and Ella went through a stretch where they weren’t napping well because of teething and various colds, but we seem to be getting back on track now which is a huge sigh of relief to this mama! It was almost too much to handle to have Kit dropping her nap, and Ella and Rosie refusing sleep. And I’m happy to say that we’ve finally got a routine down with Kit where she is happy to have some time alone in her room every afternoon. She has to start out in bed with some books so that if she does need a nap, it will happen, but after about a half hour she can get out and play with toys for another hour. It’s been a huge relief to get some time back for myself in the afternoons, and Kit’s behavior has improved quiet a bit now that her introverted personality is getting its due again every afternoon. She didn’t realize (even if I did) how much SHE needs some alone time every afternoon as well. As with all behavior and transitional things (I’m learning, though I’m not always good at convincing myself of this in the moment), they settle down after a bit as long as David and I can stay consistent. I’ve now been capsule-less for almost a year. I’ve been having a bit of nostalgia lately as this time last year I would have been busy posting about my winter capsule. Although I was confident in my decision to move on from doing such a formal structure with my wardrobe, I was curious to see what would happen (i.e. would I suddenly relapse into mindless shopping, and end up with a massive closet again?). I’m happy to say that my closet remains small, and my shopping has continued to be thoughtful. If anything, my shopping is even MORE thoughtful than it was when I was doing seasonal capsules. when I was doing capsules, four times a year I had this “deadline” (self imposed for sure, but still present) where once that date had passed I had to live with the clothing choices I had made in advance. This actually caused me to make unnecessary purchases because I would “fill a hole” only to realize later that I didn’t need to fill that hole, or I had filled the wrong hole. It also meant my style was much more “predetermined” than I liked it to be. There was absolutely nothing organic about it because it was all determined before I even had a chance to wear it. I realize now how much that wasn’t working for me. 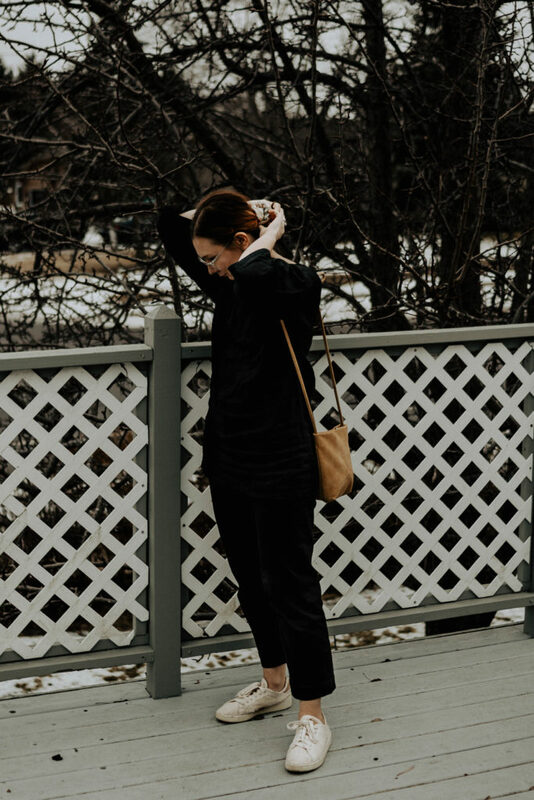 And yes, I realize that I could have changed things up, but if you are following the capsule wardrobe model, these are things that are pretty intrinsic. For some of you, this may be exactly what you need. But for me it was all wrong. I’m not someone who is good at predetermining what I like or will need. I thrive much more on an “in the moment” kind of set up. 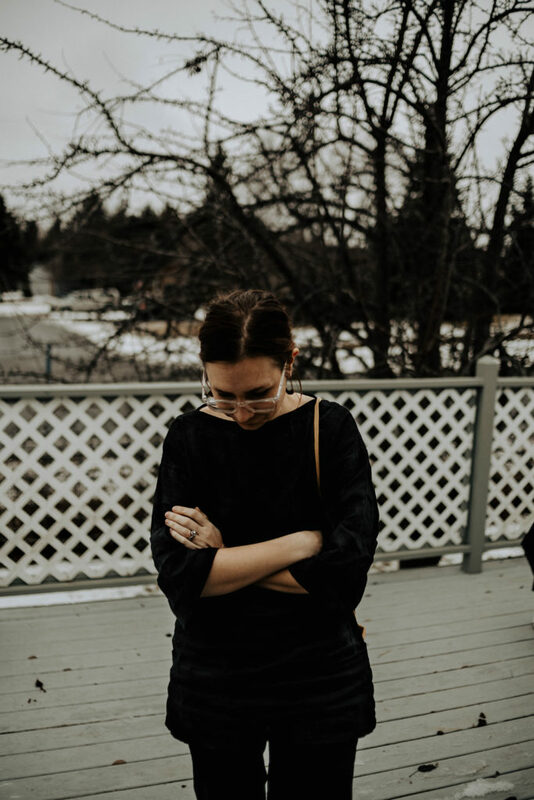 So now I wear what feels right in that moment, I pull from my entire wardrobe instead of only seasonal pieces, and when I’ve noticed that I have a hole to fill its because that hole has been made apparent to me on multiple occasions (and not because I’m predicting that it will be present). With all of that said, I DO still follow a loose capsule wardrobe model. But now its a seasonless capsule that can really best be defined as a small closet. I keep things pretty slim, and I do still try to only shop for things that are for the season that I’m in (though I have taken advantage of some end of season sales). it’s working. I’m happy with the way things currently are, and I’m thankful for the years of having a capsule wardrobe because it taught me the value of keeping things small and intentional. Have you continued your capsule wardrobes? Or, like me, have you moved on? Old Claus Earrings c/o. No longer available, but she makes the prettiest signet rings! Amen! 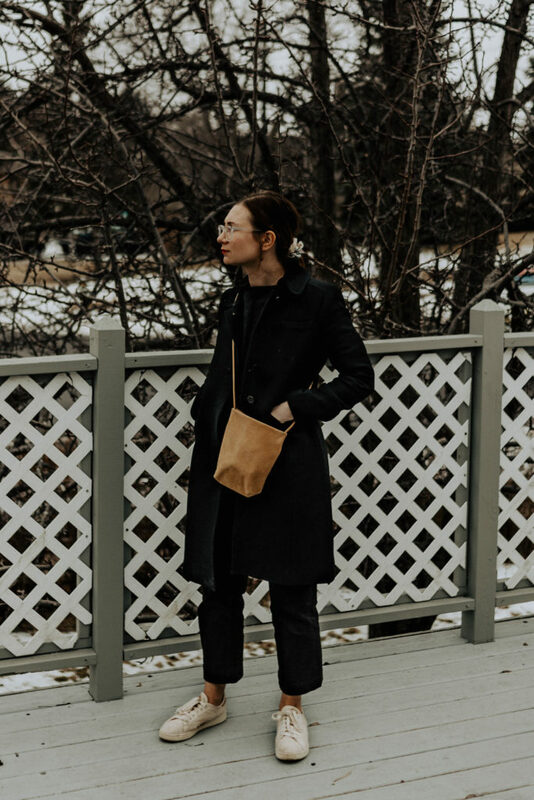 What I’ve taken from my ventures into a capsule wardrobe is a delight in paring down, shopping my own closet, and making use of favorite things instead of saving them for “special days.” Thanks for sharing your journey – love your style! Exactly! I’m enjoying the lessons even if I’m not following a structured method. Naptime/quiet time is such a savior!! I’m glad that you have all figured out something that works. I also have more of a seasonless capsule. I tried doing a Project 333 capsule back in the summer and I only made it a month before I missed all my other clothes!! After that, I knew that I didn’t want to restrict myself in terms of what I could wear. So it was a valuable experience nonetheless! It really is! I feel the same way. The more structured the method, the more restricted I felt! Certain internet famous bloggers did not invent the capsule wardrobe and there are no rules other than that it be a small collection of clothing that is mix and match. You can use guidelines to help keep it small, such as only purchasing what you need or only purchasing a new thing if it goes with at least three things you already have. You don’t have to do anything different seasonally or adhere to any number. I suspect you are still living with a capsule wardrobe, just now it is on your own terms. 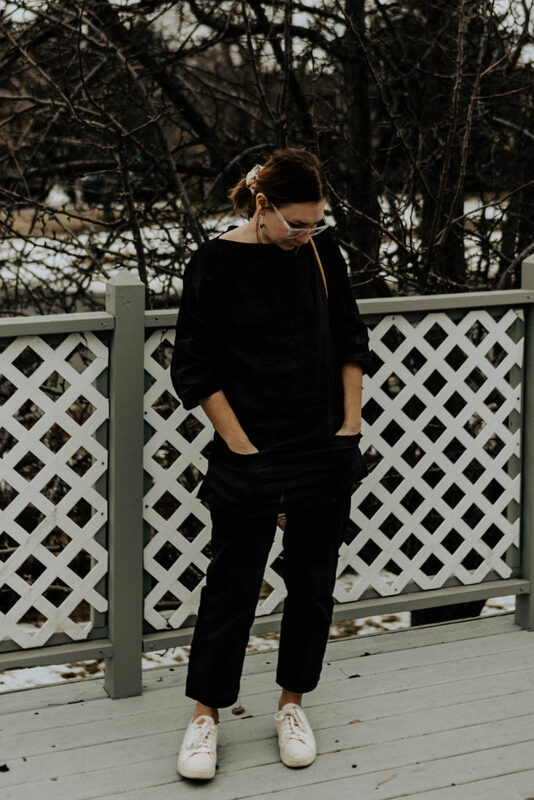 I think capsule wardrobes are actually defined as being a core group of clothing that transcend trends, with seasonal items added in every year. In more recent years, bloggers have added more restrictive numbers to that original meaning so you’re right… in one sense I’m rejecting the more restrictive rules that bloggers have implemented in their own versions, but I also feel a need to move on from operating on a seasonal rotation. I hope that makes sense!